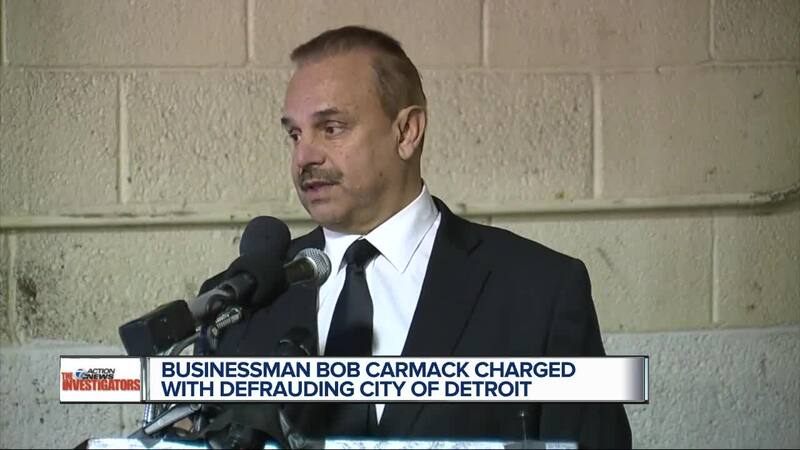 DETROIT (WXYZ) — The businessman who has been waging a public war on Detroit Mayor Mike Duggan is now facing criminal charges. According to sources, Bob Carmack is facing one charge of False Pretenses of $100,000 or more and three charges of Uttering and Publishing a Document Affecting Real Property. The charges stem from a property on Melville Avenue in Detroit that Carmack says he was properly deeded by the city of Detroit in 2007. He sold the property two years ago for $1 million in profit. The city, however, has long maintained that Carmack had committed fraud in obtaining the property's deed and he shouldn't have been able to sell it for a penny, much less a million dollars. These criminal charges are related to that alleged fraud. Carmack has been embroiled in legal battles with the City of Detroit dating back years. Last month, he started a publicity tour meant to embarrass Duggan when he released video from a private investigator, showing the mayor going to and from a home in Novi where another woman also lived. Duggan said Carmack was trying to buly him into settling his lawsuits with the city and asked Michigan State Police to investigate. Carmack said he had "no comment" about the criminal charges. His attorney also declined comment.